Villagers said the militants barged into the houses of two other policemen in Batgund village. “In one case, the policeman was not home. In the other house, the militants left after issuing a warning to the policeman,” said a villager. 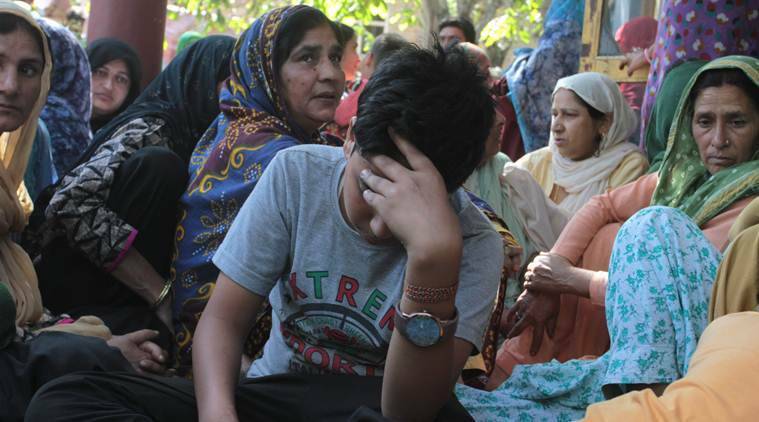 Three Jammu and Kashmir Police personnel — a constable, a ‘follower’ and a special police officer — were abducted from their homes and shot by militants in Shopian district of South Kashmir on Friday morning. 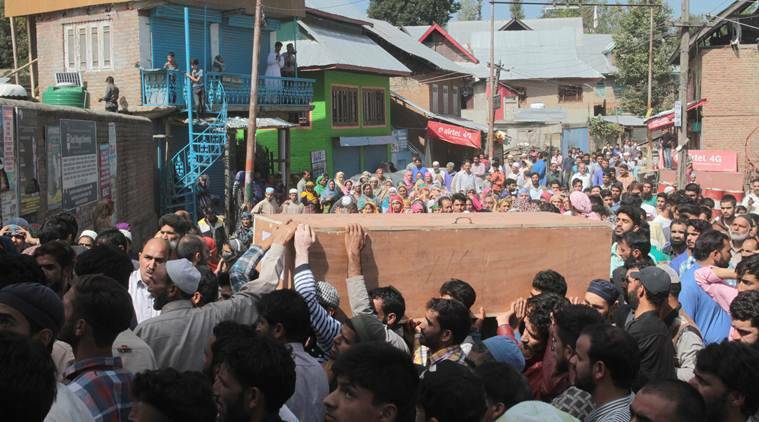 The killings, which came days after Hizbul Mujahideen commander Riaz Naikoo warned SPOs to resign or “face death”, triggered some public announcements of purported resignations from the police force on social media. The Union Home Ministry, however, denied the resignations, and alleged “false propaganda” by “mischievous” elements. The three police personnel who were killed have been identified as Nisar Ahmad Dhobi (38), Firdous Ahmad Kuchey (28) and Kulwant Singh (35). Dhobi was posted as a constable with the J&K Police armed wing in Srinagar; Kuchey was posted at Kakapora railway station in Pulwama as a follower (Class 4 employee in J&K Police, generally a tradesman who is not trained in handling arms); Singh was a special police officer posted in Kulgam district. All the three men had returned to their homes in Shopian district on Thursday evening. On Friday morning, the trio, along with the brother of a policeman who was later released, were picked up by a group of militants from their homes in Batgund and Kapren villages in Shopian. About half-an-hour later, their bodies, riddled with bullets, were found in an orchard in nearby Lamni Wangam village. Eyewitnesses in Batgund village, where Singh and Kuchey lived, told The Indian Express that when the policemen’s families raised an alarm at about 6.30 am, several neighbours rushed out of their homes and tried to rescue them. “There were over six militants. They said they would release the men after questioning. Some of the neighbours even walked with them, trying to persuade the militants to spare the policemen, but they didn’t listen,” said Mushtaq Ahmad, a relative of Kuchey. Half-an-hour later, the villagers said, they heard gunshots. “The villagers in Wangam spotted the three bodies in an orchard,” said a villager from Kapren, from where Dhobi was abducted. ADGP Security, Homeguards, Law and Order, Munir Ahmad Khan told The Indian Express that initial investigations showed that the militants were from the Hizbul Mujahideen and Lashkar-e-Taiba. “We are investigating the matter. So far, we have been able to identify two militants involved in the killing,” he said. Speaking to reporters in Shopian, IGP (Kashmir) S P Pani said the incident was “unfortunate”. “We will assure that action is taken against those who are responsible for this. We also thank the people in the village who came out and tried to protect these boys,” he said. By afternoon, several videos emerged on social media, purportedly showing SPOs announcing their decision to resign. “My name is Irshad Ahmad Baba, a resident of Shopian, and I was working as a constable in Shopian. I announce that from today, I have no affiliation with the police,” said the person in one video. Another man, identifying himself as Shabir Ahmad Thokar, said in a video that he was working as an SPO for the last eight years, and was now tendering his resignation. ADGP Khan said they were verifying the videos. “We cannot comment anything on it,” he said. In a statement, the Union Home Ministry said the state police had confirmed that reports on the resignations of SPOs were “untrue and motivated”. “These reports are based on false propaganda by mischievous elements,” it said. “There are over 30,000 SPOs and their services are reviewed from time to time. Some mischievous elements are trying to project that those SPOs whose services were not renewed due to administrative reasons, have resigned,” it said. 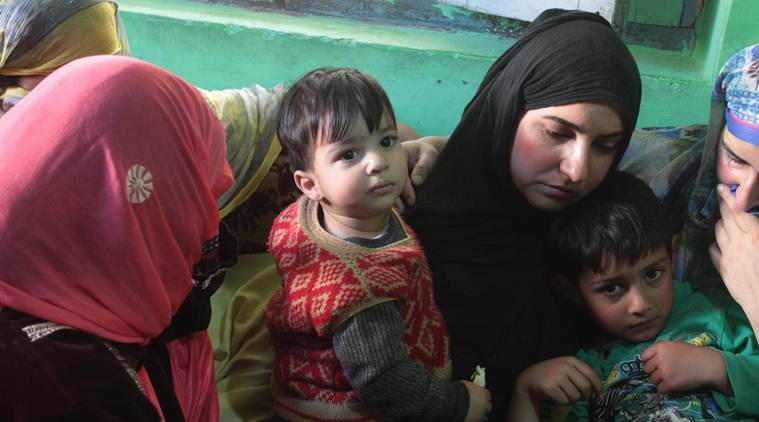 “Due to proactive actions of the state police, militants have been pushed to a corner and are being driven to desperation,” it said, as it blamed the Hizbul Mujahideen for the three killings. In a recent video, Hizbul Mujahideen ‘Commander’ Riaz Naikoo had claimed to have evidence that around 90 per cent of SPOs were working as informers for Indian agencies. “We request the parents to stop their sons from work or they will have to face death,” he had said. Meanwhile, former Chief Minister Mehbooba Mufti tweeted that the rising incidents of militant attacks on police personnel was proof that the “Centre’s muscular policy was not working”. “Three more policemen have lost their lives to militant bullets. Outrage, shock & condemnation will be expressed by all of us on expected lines. Unfortunately, it brings no solace to the families of the victims,” she tweeted. “Clearly, with the rise in kidnapping of police personnel and their families, Centre’s muscular policy is not working at all. Dialogue, the only way forward, seems to be a distant dream for now,” she tweeted. Last month, militants abducted over 10 relatives of J&K policemen from different parts of South Kashmir, but later released them. The incident came a day after four J&K policemen were killed by suspected militants in Shopian. The escalation followed allegations of the Army setting on fire houses of militants in Shopian and Naikoo’s father being arrested.